When they’re in your hospital, your patients’ main concern is their health. But if you ask them how satisfied they were with their stay, they’re likely to mention the things that can affect your HCAHPS scores, like the noise level, the cleanliness of the room, and their experience with the television. Good experiences with all these little things can lead to a positive overall experience, and maybe even higher patient satisfaction scores for your hospital. These are the things we thought about when we designed Gen4. We included key design features that will help you in your efforts to reduce noise, control infection, and offer a better overall patient room experience. On their own, little things like these might not mean much; but together, they add up to one more thing to be satisfied about. These days, patients expect more than just quality care. They expect many of the comforts of home in a peaceful environment, and your patient satisfaction surveys will reflect this. Gen4 gives them a quality TV experience that will help keep them satisfied, with its large, easy-to-press buttons, clear sound, and comfortable shape. 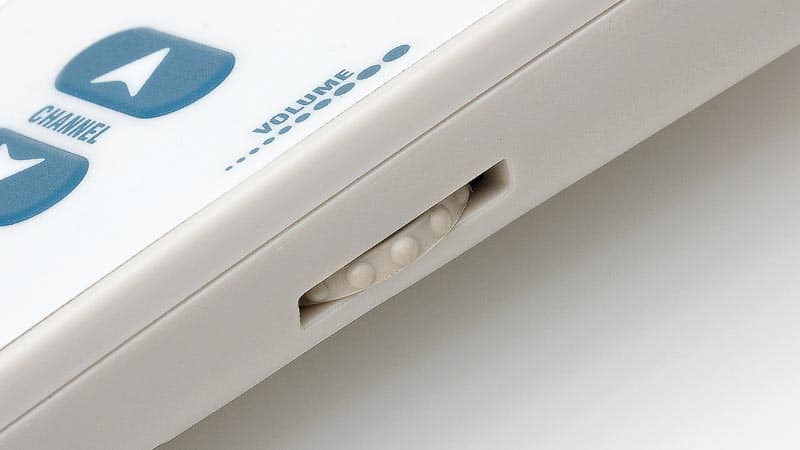 A single hospital-acquired infection can cost your facility tens of thousands of dollars1, so we made sure that Gen4 was fully sealed* to help prevent infectious contaminants from getting into the pillow speaker where they could be passed from patient to patient. In addition, Gen4’s smooth shape allows for quick and easy cleaning. 87% of hospitals recognize that they have a noise problem2. If yours is one of them, you can minimize noise by using headphones and a Gen4 pillow speaker with an optional headphone jack. Patients will be more satisfied with their TV experience without being distracted by noise, and nearby patients and staff will benefit from a quieter environment. Gen4 isn’t just easy for patients to use, it’s easy for your staff. We have 50 years of experience integrating nurse call systems and TVs, so installation and reprogramming for new TVs is simple. It’s also built to last, with high-impact case material and a flexible cable. 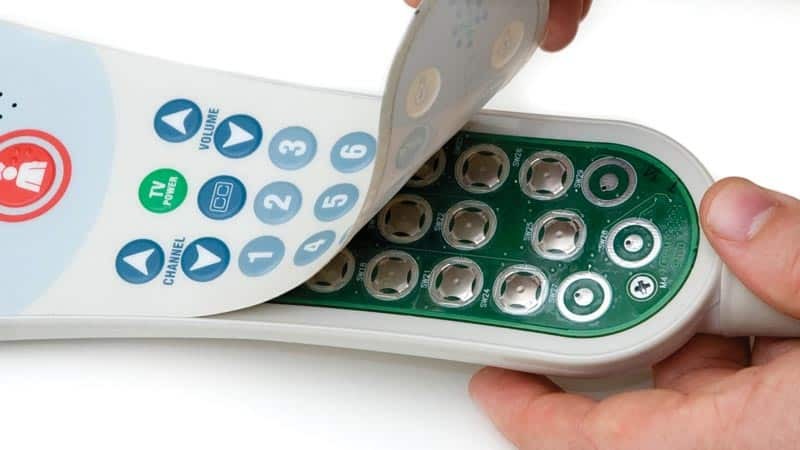 But hospitals are a tough environment, which is why we give you the option to easily replace the cable, speaker, headphone jack, and overlay in the field if they get damaged. The pillow speaker is at the center of the patient room experience, giving patients access to their care team, entertainment, and environmental controls, so we work closely with the manufacturers of these systems to make sure everything works together seamlessly. This is part of the reason why Curbell is trusted by every nurse call system manufacturer in the US to supply the pillow speakers for their systems. In the US, pillow speakers are classified as Class 2 Exempt medical devices. Curbell is fully compliant with all government registrations and industry regulations. Gen4 is designed, manufactured, and tested to strict standards (including UL 1069) to give your patients a reliable connection, and to give you one less thing to worry about. 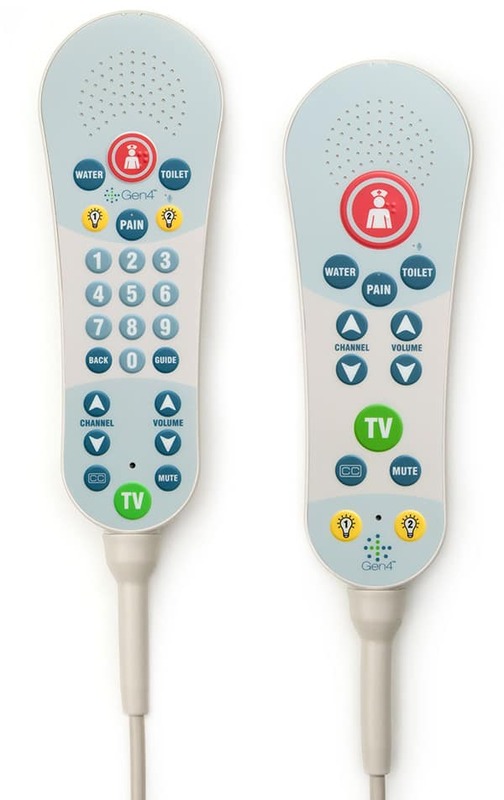 Analog volume is available to ensure independent patient control in situations where two devices (any combination of pillow speakers, beds, or Curbell Remote Entertainment Stations control one TV. 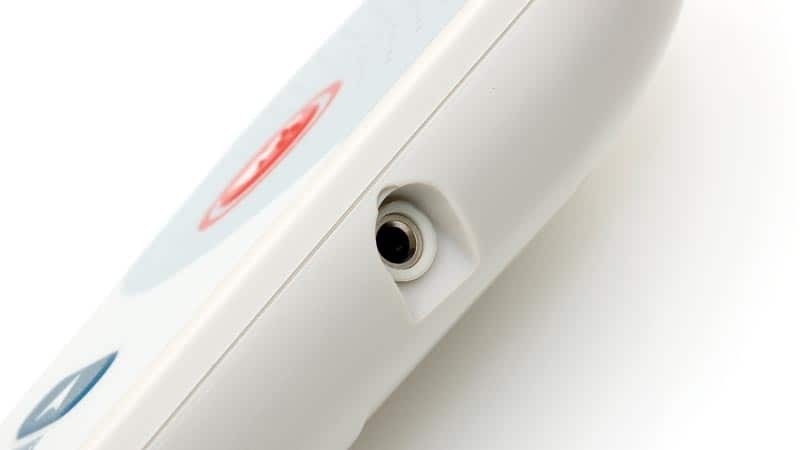 Gen4 is built to last; but hospitals are a tough environment, which is why we give you the option to easily replace the cable, speaker, headphone jack, and overlay in the field if needed. enable communication between these systems requires a lot of expertise. specific requirements. You can count on Curbell to keep you connected.